President's Message: Atlantic City, here we come! 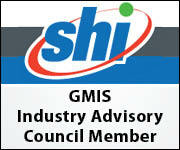 GMIS MEETS registration flash sale ends Friday, July 22! Our jobs as public sector IT professionals continue to become increasingly difficult with the internet of things, disruptive technology, and the complexity and pressures associated with the consumerization of IT. We are in constant need of new skill sets, new relationships and new knowledge to leverage as we strive to provide the highest quality of IT service and support to our entities, employees and citizens. As the clocks ticks down towards Atlantic City and our annual GMIS International Conference, I am excited and very much looking forward to attending my ninth GMIS International Conference. Reacquainting with old friends and making new GMIS friends, informative educational sessions, networking with vendors, taking a therapeutic break from the daily grind in my life as a IT professional and having some much needed fun, are all of things I enjoy and come back for each year at our annual conference! I hope you plan to attend. If you have not registered for the conference, there is still time to register and join GMIS International in Atlantic City and partake of all that this year’s stellar conference offers! 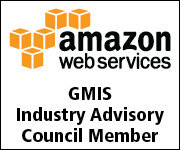 Join us for the 2016 GMIS MEETS conference, to be held August 14–18 at Caesars in Atlantic City, New Jersey. Created by and for leaders in the IT public sector, the conference offers four days of informative general sessions, specialized educational tracks, interaction with industry-leading providers, networking opportunities and more. 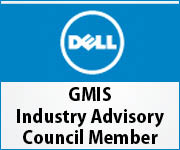 All of the conference information is available online at www.gmis.org. 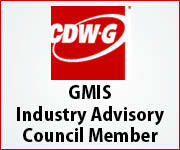 Public sector CIOs and IT directors are facing increasing challenges and responsibilities in the era of new governance. As the lines between traditional functional services and departments begin to blur, the IT leadership is charged with 1) managing the constantly expanding role for IT within your government, 2) protecting your government against ever-increasing security threats, and 3) keeping up with the feverish pace of new technology. Many of my friends seem to have a misunderstanding about what it is IT folks do for a living. Especially those of us who manage IT, develop strategy, and serve in roles like CIO, CTO or director. My background is business having earned my BBA in General Business Administration after completing over 300 hours of undergraduate study (it took 192 hours to graduate). During my studies I managed the auditing department of a large amusement park, and rather than taking a job lined up by my grandfather with a large bank after college, I was given an opportunity to work in IT, reporting to the finance department of that same large amusement park. The place where government interests intersect with community-minded activists who are ready to donate their time and talents — best known as civic tech — is the public sector’s fastest-moving innovation inlet. Twenty-five years ago we were the kings and queens who ruled from our thrones over the enterprise technology kingdoms under our control. We chose and dictated the technology and the ways in which it was deployed throughout our kingdoms. Executive management and users sought our royal counsel and our permission in regard to all technology matters. Life was good in the kingdom! A proposal has been introduced in Connecticut to outfit utility poles, which have traditionally been used for telephone lines and cable television, with high-speed Internet equipment.